What's the most expensive shot of the silent era? Here's a hint. Coming up this Friday, July 1: an encore presentation of Buster Keaton's 'The General' (1926) at Red River Theatres in Concord, N.H.
A screening of 'The General' earlier in June sold out, prompting this reboot. The show starts at 7 p.m. and admission is $10 per person. See you there! More details in the press release pasted at the end of this post. And then Sunday, July 3 brings the next installment of our series of silent boxing films at the Wilton (N.H.) Town Hall Theatre. The 4:30 p.m. show is a double feature of two obscure dramas: 'Battling Bunyan' (1924) and 'The Shock Punch' (1925). Admission is free! When I mention we're running a series of boxing films, some people crinkle up their nose in disapproval. It's understandable, I suppose. The sad state of Muhammad Ali's health prior to his recent death has renewed calls to ban the sport outright as too harmful and dangerous. Boxing: a sport on the canvas. But films from the 1920s offer a glimpse into a bygone era—a time when boxing was arguably the nation's most popular sport. Consider: Just today, I came across a review of a book, “Stars in the Ring: Jewish Champions in the Golden Age of Boxing,” by Mike Silver. 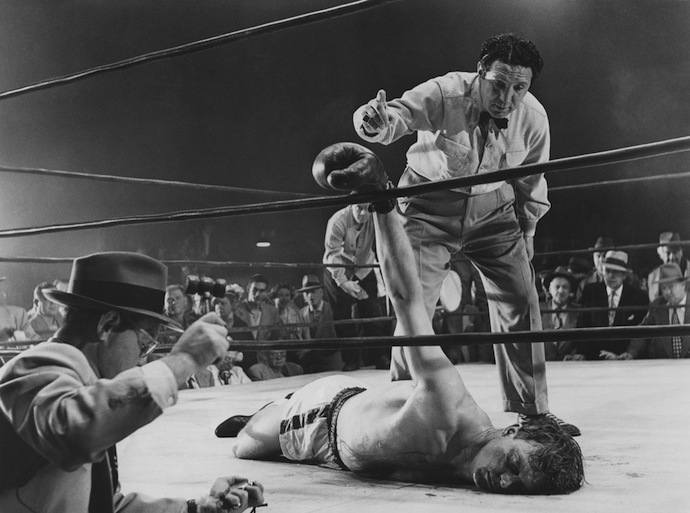 You can see that popularity throughout films of the silent era—and especially in the boxing-specific films we're running this summer. It's a sub-genre that was definitely a product of its time. And so I think films about boxing are worth focusing on for a series, in the same way we've run past series on trains, sailing ships, and melodramatic romance. I'm of two minds about boxing. Of course I dislike the idea of any sport where brain injury is the essential aim. But I have to admit, the idea of two equally matched men or women facing off against each other in a defined space, and not part of any team, is elemental and fascinating. I guess it speaks to one of the fundamental human paradoxes: of being intelligent enough to know when something isn't good for us or the people involved, but being depraved enough to still want it. Death by chocolate, anyone? Or, more topically, Brexit? We're not always such rational creatures, are we? 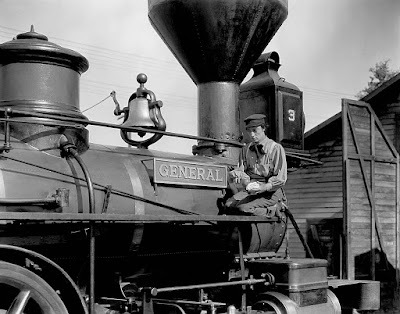 Okay, here's the press release about 'The General' this Friday, July 1 at 7 p.m. at Red River Theatres in Concord, N.H.
See for yourself with an encore screening of 'The General' (1926), one of Keaton's landmark feature films, at Red River Theatre, 11 South Main St., Concord, N.H. on Friday, July 1 at 7 p.m. Tickets are $10 per person. The encore screening was scheduled following a sell-out show earlier in June. Buster and his locomotive co-star, The General. In screening 'The General,' Red River will give the public a chance to experience silent film as it was meant to be seen—in a high quality print, on a large screen, with live music, and with an audience. "All those elements are important parts of the silent film experience," said Rapsis, who improvises the score on the spot as a film screens. "Recreate those conditions, and the classics of early Hollywood leap back to life in ways that can still move audiences today." • Friday, Aug. 12: 'The Yankee Clipper' (1927) starring William Boyd. Period drama set in the 19th century; two clipper ships race from China to Boston to compete for a lucrative tea contract. • Friday, Sept. 16: 'Spies' (1928). Director Fritz Lang followed his futuristic saga 'Metropolis' with this pioneering espionage thriller that created the template for all future James Bond movies. 'The General' (1926) will be shown at Red River Theatres, 11 South Main St., Concord, N.H. on Friday, July 1 at 7 p.m. in the Jaclyn Simchik Screening Room. Admission is $10 per person; for more info, call (603) 224-4600 or visit www.redrivertheatres.org. For more information about the music, visit www.jeffrapsis.com. 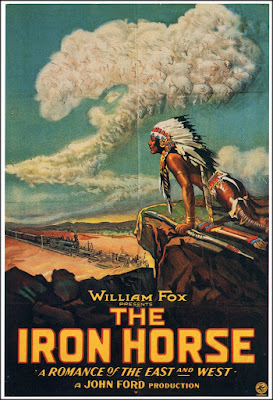 Accompanying 'The Iron Horse' (1924) in Brandon, Vt. on Saturday, June 25. ...if you count Canada as a truly foreign country. Well, either way, I'm back at it, having last night done music for 'Don Q, Son of Zorro' (1925) at the Leavitt Theatre in Ogunquit, Maine. A strong turnout of about 60 folks cheered and hooted and hollered as Doug battled rivals to clear his name. Great flick! Later today I head up to the Franklin (N.H.) Opera House, a new venue for me, to do music for Keaton's 'Sherlock Jr.' (1924). On Saturday, it's up to Vermont for 'The Iron Horse' (1924), the next installment in a monthly program of silents at the Brandon (Vt.) Town Hall. 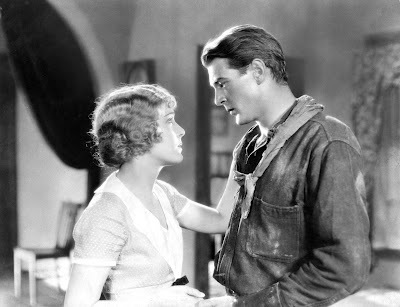 And then it's off to Toronto on Sunday, June 26 for a quick out-and-back to play for King Vidor's 'Show People' (1928) at the Revue Cinema. From 'Show People' (1928): William Haines and Marion Davies meet a funny little man, name of Chaplin. I will say that the weekend will be highlighted by two people I'm looking forward to seeing. On Saturday, when I'm up in Vermont, silent film accompanist Ben Model is also in Vermont, playing for a screening of 'Steamboat Bill Jr.' not far away from my Brandon Town Hall show. Ben's show is in the afternoon, so I'm hoping to stop by on my way to Brandon. How odd to have two silent film shows in nearby locations, but on the same day in rural Vermont! And on Sunday, I'll get to see Alicia Fletcher and other members of Toronto's vintage film community. They're a nice bunch and looking forward to hanging with them, if only briefly. On the to-do list in Canada: get a haircut! This will allow me to continue to observe my "domestic haircut boycott" while Mr. Trump remains a candidate for the presidency. Expect a photo album on Facebook. If you'd like more info about this weekend's shows, details are posted my schedule page, which is accessible via the right-hand links on the home page. • Thursday, June 23, 8 p.m.: Don Q, Son of Zorro (1925) starring Douglas Fairbanks Sr., at the Leavitt Theatre, Ogunquit, Maine. • Friday, June 24, 7 p.m.: Sherlock Jr. (1924) starring Buster Keaton, at the Franklin (N.H.) Opera House. • Saturday, June 25, 7 p.m.: The Iron Horse (1924) directed by a very young John Ford, at the Brandon Town Hall in Brandon, Vt.
• Sunday, June 26, 4 p.m.: Show People (1928) starring Marion Davies and William Haines at the Revue Cinema, Toronto, Canada. You know how on 'Wheel of Fortune' you can buy a vowel? Well, in the game show called "Life," I wish i could buy an hour so that I can continue writing. But I can't, and time is up for this installment. See you next time! Our team greets the sunrise on the summit of Mount Kilimanjaro on January 10, 2015. I'm kneeling in front, mostly due to exhaustion. Heading into a quiet stretch for silent film accompaniment: no shows until a four-day stretch in late June that includes a return gig at the wonderful Revue Cinema in Toronto, Canada. But I'm thankful for the break because it'll give me a chance to make progress on another musical project I'm pursuing: an orchestral piece about Mount Kilimanjaro. I got a chance to climb Mount Kilimanjaro last year as part of a group of 12 people. Our nine-day trek, climaxed by an overnight slog to reach the summit at sunrise, was an awesome experience. It was also an unexpectedly musical experience. Singing of all types takes place on the slopes of Africa's highest mountain: folk songs, spirituals, hymns, and so much more. And I found the snow-capped mountain makes its own kind of music, too. So now I find myself pulling together an orchestral score that captures something, I hope, of the Kilimanjaro experience. Our team and some of our guides on the way up. Still a ways to go! And just as Kilimanjaro looms over the countryside, a read-through of my score-in-progress looms over my own day-to-day activities. Sometime this fall, members of the New Hampshire Philharmonic expect to play through it in preparation for a performance during their 2016-17 season. I'm very excited by this opportunity, and grateful to music director Mark Latham and the orchestra for their willingness to encourage new music. How did this happen? It's one of those "it was meant to be" series of events, I guess. Prior to departing for Africa, I was contacted by the Philharmonic to be involved with a program of film music they were planning. After leaving Barranco Camp, our team negotiates the "Breakfast Wall" on Day 6. Well, it turned out that music director Latham has extensive family ties to the legendary mountain, which is Africa's highest and also the tallest free-standing mountain in the world. Mark comes from a family of medical officers who were among the first British officials to settle in Tanzania after Germany ceded control of its African territories following World War I. Today, several features on the mountain carry the name of Latham family members. For example: a spot we passed on the summit rim, Stella Point, is named in honor of Mark's great aunt, the first woman to reach the summit. I learned all this because prior to our trip, Mark graciously sat down and showed some of us his Kilimanjaro photo album and other priceless heirlooms from the family's days in what was then British East Africa. He also shared his own experiences of climbing the mountain with his father back in 1976, on the 50th anniversary of his grandfather's first ascent. We were stunned and grateful to get this insider's perspective on Kilimanjaro prior to departing. (Mark was actually born in Tanzania.) Imagine climbing a world-famous peak with a number of features named after family members of someone you had dinner with! There's even a book about the family's experiences. 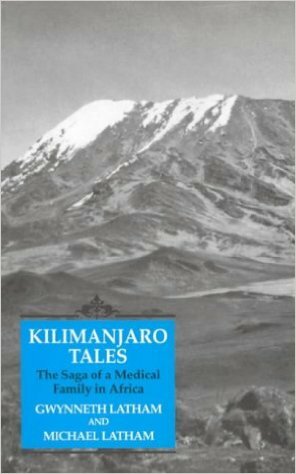 It's called Kilimanjaro Tales: The Saga of a Medical Family in Africa. After we scaled the peak in January of last year, Mark and I talked about the mountain, and he was willing to take a chance on Kilimanjaro made into music. So I've been sketching out some notions in the hopes of capturing some of the experience in score. As I understand it, the Phil (as it's called by its close friends) plans to include it in a concert that features visual elements: in this case, images of Kilimanjaro projected on a screen while the music gets played. Me, I'm thrilled at the opportunity to work on music that's getting written down. Most of my silent film work is improv-based, which is the best way for me to work in that field. For quite some time now, I've been developing my own musical idiom, such as it is. But I'm at a point where I have a sense of what kind of music I want to write down, and to try to get performed. Our guide Elly Anase, who got us all to the summit safely, with the help of a lot of Diamox. So I've been refining some ideas and also recently updated my Finale scoring software. Last time I used it was in creating the score for 'Dangerous Crosswinds' (2005), a feature-length drama directed by New Hampshire filmmaker Bill Millios. So I have a stretch of time coming up to push ahead with the Kilimanjaro score. And I think going public with it will help me stay focused and ensure that I'm motivated to get it done, rather than keep thinking I'll get to it when I have that most elusive object, "more time." For me, getting anything done is very similar to how we got to the top of Kilimanjaro: one step at a time. 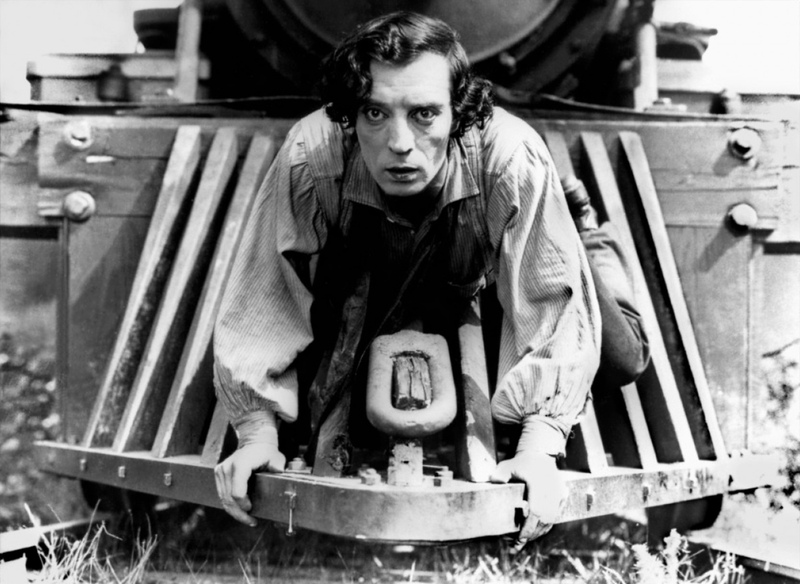 Buster Keaton and his co-star in 'The General' (1926), showing on Friday, June 10 at Red River Theatres in Concord, N.H.
Back to basics this weekend with two well-known classics: Keaton's 'The General' on Friday night in Concord, N.H., and then Chaplin's 'The Kid' (1921) in Somerville, Mass. More details below in press releases I've attached to this post. But accompanying these titles reminds me: I have this theory that the silent films that have come down to us will at some point attain the same cultural status as other forms of fine art: sculpture, paintings, theatre, literature. All of these forms are interesting to us today in part because of their timeless beauty, but also because of what they say about the cultures that produced them. 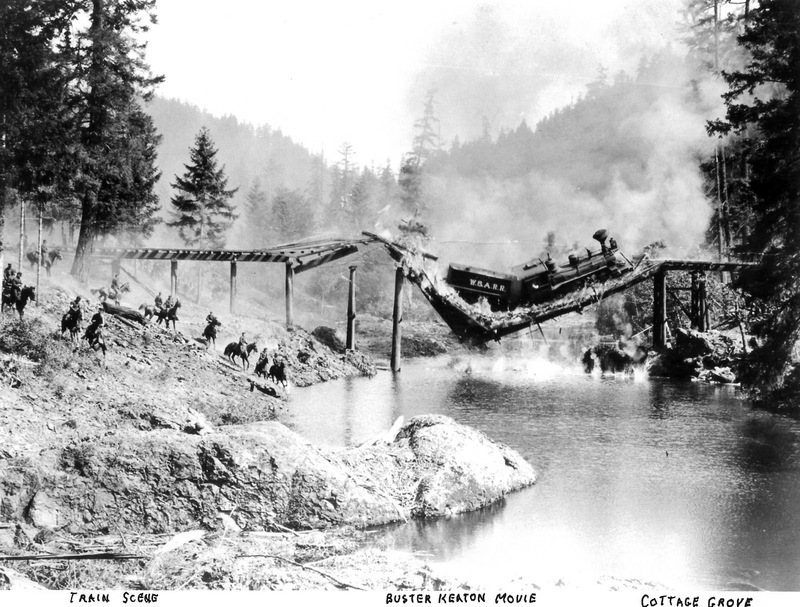 Motion pictures made during the silent era aren't any different. Presented properly, they maintain their ability to entertain and inspire audiences. And they say tons about the culture that produced them, sometimes intentionally but often by accident. They're just not old enough to be seen as "fine art" just yet, I think. In time, that will happen—as long as we preserve the films and keep showing them. 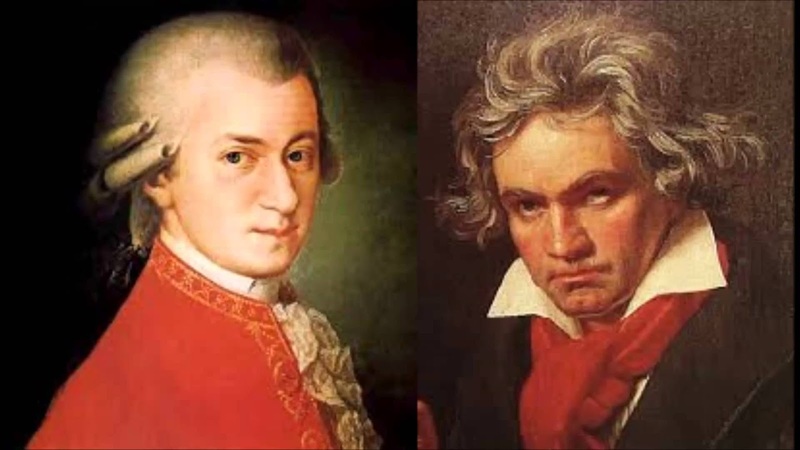 Mozart and Beethoven = Chaplin and Keaton? So in that sense, I sometimes think of how Chaplin is kind of like the Mozart of silent film comedy—a miraculous wunderkind whose 'Tramp' character allowed him to create material in his own distinctive comic language. Although a lot of hard work went on behind the scenes, what Chaplin brought to the screen always seemed graceful and effortless. So, much as Mozart took the existing harmonic language and structure of music of his time and vastly enlarged its possibilities, so did Chaplin with cinema. Keaton, on the other head, is more like Beethoven. Each was an innovator who worked largely on instinct to build large structures. And each pushed their art to new levels of expression. It's an interesting way to look at silent film comedy. Taking it further, I guess that means Harold Lloyd would be Josef Haydn? And does that mean an obscure performer such as Johnny Hines would be...say, Friedrich Kalkbrenner? But the comparison starts to break down, I think, when you consider Mack Sennett, legendary slapstick comedy pioneer and father of Keystone Studios. He'd have to Johann Sebastian Back, and I somehow don't think Sennett and Bach operated on quite the same level. And now that I think of it, I've already compared Raymond Griffith's 'Paths to Paradise' (1925) with the Venus de Milo due to its missing final reel. Well, whatever your tastes in film or music, I hope you'll join us for screenings of Keaton's 'The General' on Friday and Chaplin's 'The Kid' on Sunday. More info below! 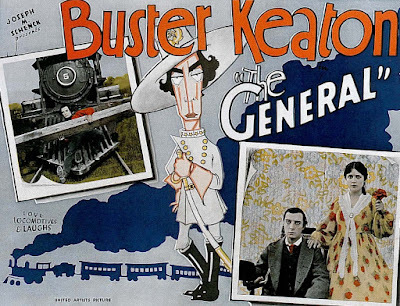 See for yourself with a screening of 'The General' (1926), one of Keaton's landmark feature films, at Red River Theatre, 11 South Main St., Concord, N.H. on Friday, June 10 at 7 p.m. Tickets are $10 per person. 'The General' (1926) will be shown at Red River Theatres, 11 South Main St., Concord, N.H. on Friday, June 10 at 7 p.m. in the Jaclyn Simchik Screening Room. Admission is $10 per person; for more info, call (603) 224-4600 or visit www.redrivertheatres.org. Chaplin's 'The Kid' (1921) to screen for Father's Day at Aeronaut Brewing Co.
SOMERVILLE, Mass.—Silent film with live music returns to the Aeronaut Brewery with a screening of Charlie Chaplin's classic comedy/drama 'The Kid' (1921) on Sunday, June 12 at 8 p.m. The special pre-Father's Day program, which also includes several Chaplin short comedies, with be presented with live music by Jeff Rapsis, a composer who specializes in creating live silent film accompaniment. The program of silent film with live music is open to the public and is part of the Aeronaut's commitment to showcase local music, art, and performance. Co-starring with Chaplin in 'The Kid' was five-year-old Jackie Coogan, who turned in what many critics rank as the best child performance of the entire silent film era. Chaplin himself worked closely with the young Coogan for more than a year to develop the youngster's acting abilities. Coogan went on to a long career that much later included the role of "Uncle Fester" (left) in the popular 1960s Addams Family television show. The Chaplin program continues the series of silent films presented with live music at the Aeronaut. The series provides local audiences the opportunity to experience silent film as it was intended to be shown: on the big screen, in restored prints, with live music, and with an audience. 'The Kid' will be preceded by shorter Chaplin comedies made earlier in his career that helped establish his worldwide popularity. • Sunday, July 17 at 8 p.m., 'The Thief of Bagdad' (1924) starring Douglas Fairbanks Sr. Eye-popping fantasy based on stories from 1001 Arabian Nights; a film that brought cinematic story-telling and visual design to new heights. Charlie Chaplin's 'The Kid' (1921) will be shown on Sunday, June 12 at 8 p.m. at the Aeronaut Brewery, 14 Tyler St. (near Union Square), Somerville, Mass. Admission is $10 per person. Tickets are available online at www.eventbrite.com; search on "Aeronaut Brewery." For more info, visit www.aeronautbrewing.com. When I first heard the title of the movie 'The Winning of Barbara Worth,' I thought it must be something about auctioning off women to the highest bidder. And when I learned it was actually a drama that centered on irrigation, it moved further down my list of "must-see" films. Well, yes, it's a terrible title. And yes, it is about irrigation. • A cast led by Ronald Colman, Vilma Banky, and a very young Gary Cooper. • Great location shooting in Nevada's Black Rock Desert. • Direction by Henry King at the height of his powers. • Great cinematography from Greg Toland, who would later shoot 'Citizen Kane' for Orson Welles. • A spectacular flood sequence that never fails to mesmerize an audience. I first saw parts of this film thanks to Kevin Brownlow, who included sequence from it in his "Hollywood" documentary series about the silent film era. Brownlow, the legendary British film preservationist and advocate, included the material in a presentation he gave a few years ago at the University of Arkansas, for which I was privileged to supply musical accompaniment. I was amazed at the flooding sequence, and so sought out the whole picture. 'The Winning of Barbara Worth' (1926) turned out to be one of the many forgotten gems from the silent era—pictures never get included in the list of timeless classics or studied in film class, but which nevertheless achieve excellence on their own terms and hold up very well when screened today. Well, you have a chance to discover this great flick this week. I'll be accompanying a screening of it on Thursday, June 9 at the Flying Monkey Moviehouse and Performance Center in Plymouth, N.H.
Showtime is 6:30 p.m. More details about the film and the screening are in the press release below this. After that, it's two "unforgotten" gems. • On Friday, June 10 at 7 p.m., it's Buster Keaton in 'The General' (1926) at Red River Theatres in Concord, N.H.
• And on Sunday, June 12 at 8 p.m., it's Charlie Chaplin and Jackie Coogan in 'The Kid' (1921) at the Aeronaut Brewery in Somerville, Mass. But first up is 'Barbara Worth' (1926), and below is more info. Hope to see you there! 'The Winning of Barbara Worth,' starring Ronald Colman and Gary Cooper, to be screened with live music in Plymouth, N.H.
PLYMOUTH, N.H.—A film that helped set the stage for Hollywood's love affair with the American West will be shown next month at The Flying Monkey Moviehouse and Performance Center. 'The Winning of Barbara Worth' (1926), a silent drama starring Gary Cooper, Ronald Colman, and Vilma Banky, will be screened on Thursday, June 9 at 6:30 p.m. at 39 South Main St., Plymouth, N.H.
Will the local ranch-hand prevail over the city slicker engineer? Can citizens of the parched region prevail over nature and transform their lands into an agricultural paradise? Will rumors of shortcuts taken in constructing a massive dam lead to disaster? "What I try to do," Rapsis said, "is create a score that bridges the gap between a film that might be 80 or 90 years old, and the musical expectations of today's audiences." 'The Winning of Barbara Worth' is the latest in a monthly series of silent films presented with live music at the Flying Monkey. The series provides local audiences the opportunity to experience silent film as it was intended to be shown: on the big screen, in good-looking prints, with live music, and with an audience. • Thursday, July 14, 2016, 6:30 p.m.: 'Spite Marriage' (1929). Buster Keaton's final silent film finds the stone-faced comic so in love with a stage actress that he joins the cast of her hit play to be close to her. What could go wrong? • Thursday, Aug. 18, 2016, 6:30 p.m.: Rudolph Valentino Double Feature! On the 90th anniversary of the hearthrob's shocking and untimely death, we pay tribute with 'The Sheik' (1921) and 'Son of the Sheik' (1926). Bring tissues! 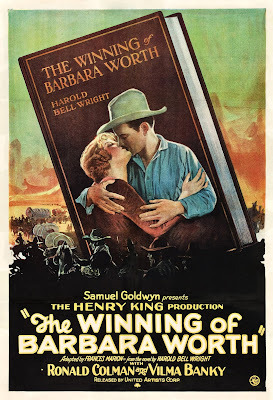 'The Winning of Barbara Worth' (1926) will be screened with live music on Thursday, June 9 at 6:30 p.m. at the Flying Monkey Moviehouse and Performance Center, 39 South Main St., Plymouth, N.H. Admission is $10 per person. For more info, call (603) 536-2551 or visit www.flyingmonkeynh.com. For more info on the music, visit www.jeffrapsis.com. Great screening coming up on Sunday, June 5. But first: this morning (Friday, June 3) saw one of my favorite events on the calendar. Each year about this time, I haul myself out to the Antrim (N.H.) Town Hall and do a silent film program for maybe 80 kids from Great Brook Middle School. It's set up as a "reward" for the good work that students do year round. So on movie day, they march down the hill from the school and then climb up the bell tower stairs and into the second-floor auditorium. Why Buster? In the five or six years I've been doing this, we've tried other comedians. But for some reason the Great Brook Middle Schoolers have bonded with Buster. About half the students on hand had attended in earlier years, and Mrs. Cullinan said it was pretty much unanimous: More Buster! And the good news is that Buster can hold the attention of a room full of middle school students before 9 a.m. on a warm June morning. Wow! I've taught middle school, and so let me tell you how impressive and amazing that is. Congrats, Buster! What's more, they always come up with interested comments and questions. This morning, before the screening I forgot to mention that there's footage of famous aviator Charles Lindbergh in 'The Cameraman,' just in case they didn't recognize him. So afterwards, we asked: can anyone name who the guy in the parade waving to the crowd? Hands shot up. First guess: "John F. Kennedy!" Not a bad guess—after all, it was a younger guy waving from a limo in old film footage. Thanks to Maryanne Cullinan and the other faculty and staff from Great Brook for keeping this program going. You're the best! And the kids—always a great audience. Thanks for the opportunity to get together each year and bring Buster's films to life. Okay, and now for completely different. No, not Monty Python. It's Greta Garbo and John Gilbert in 'Flesh and the Devil' (1926), which I'm accompanying on Sunday, June 5 at 2 p.m. at the Somerville Theatre. But I'm told the 35mm print is complete and looks pretty good. Also, in case anyone's wondering, it has the "traditional" ending, not the "happy" ending that MGM allegedly filmed to make the film more commercial. I've never seen the alternate ending, but I asked to have the print looked at just to be prepared in case it had it. Well, it doesn't. But it has everything else you'd want in this kind of picture: exotic settings, some light comedy, great atmosphere, and acres and acres of Garbo and Gilbert in close-up. See you there! Bring tissues! SOMERVILLE, Mass. 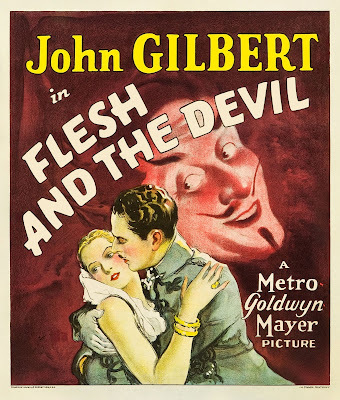 - Rediscover the passionate romance between early superstars Greta Garbo and John Gilbert in 'Flesh and the Devil' (1926), the classic MGM silent melodrama that first brought the legendary Hollywood couple together. 'Flesh and the Devil' will be shown on Sunday, June 5 at 2 p.m. at the Somerville Theatre, 55 Davis Square, Somerville, Mass. Admission is $15 per person or $12 seniors/students. The film will be shown using a 35mm print. Live music will be provided by Jeff Rapsis, a New Hampshire-based silent film accompanist. 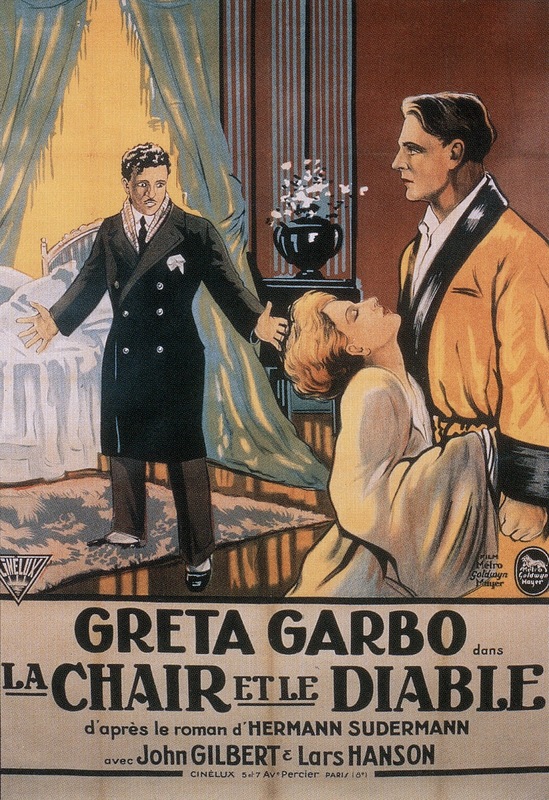 Set in Germany, 'Flesh and the Devil' tells the story of a love triangle between two boyhood friends (Gilbert and Lars Hansen) and the amoral seductress (Garbo) who comes between them. The two men are eventually forced into a violent struggle over the woman, who marries one but carries on an affair with the other. A kinda scary original poster. Faust, anyone? During the shooting, Garbo and Gilbert developed their own highly charged off-screen romantic affair, the passion of which director Clarence Brown delighted in capturing on camera. 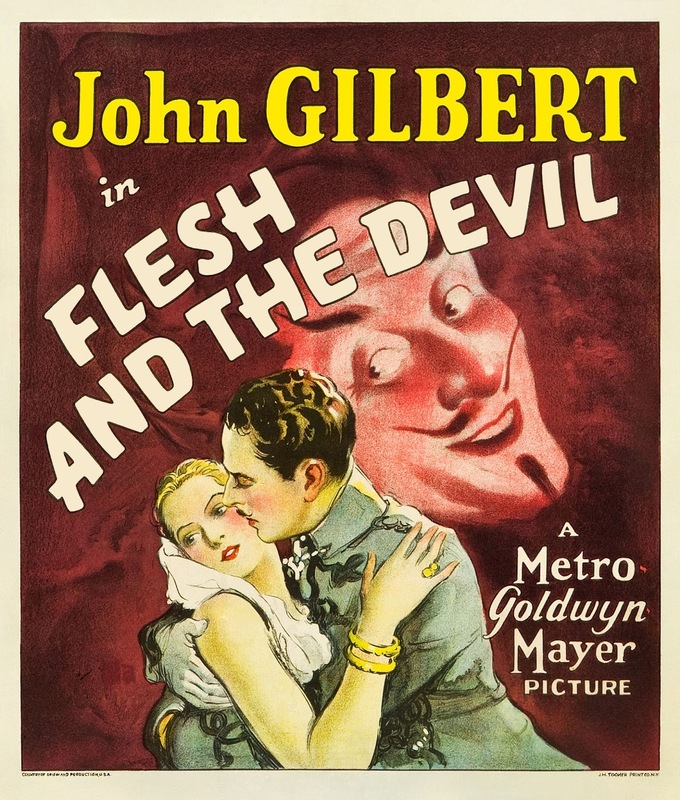 Though Garbo and Gilbert eventually went their separate ways, 'Flesh and the Devil' marked the very public beginning of of one of the legendary romances of early Hollywood. He's perfect—but he doesn't speak any Swedish! 'Flesh and the Devil' is the latest installment of 'Silents, Please!'. 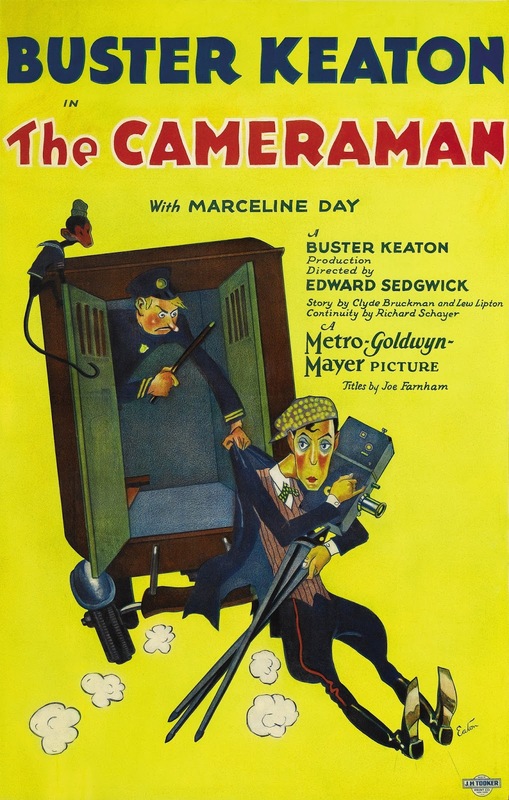 a monthly series silent film screenings at the Somerville Theatre. The series aims to recreate the lost magic of early cinema by bringing crucial elements needed for silent film to work: classic films in best available 35mm prints; projection on the big screen; live musical accompaniment; and a live audience. "These films are still moving and intense experiences if you can show them as they were designed to be screened," said Jeff Rapsis, who provides musical accompaniment for the screenings. "There's a reason people first fell in love with the movies. At their best, they were communal experiences in which the presence of a large audience intensifies everyone's reactions." The appeal of 'Flesh and the Devil' has withstood the test of time. In 2006, the film was selected for preservation in the United States National Film Registry by the Library of Congress as being "culturally, historically, or aesthetically significant." Reviewers have continued to praise the picture's many good qualities, often singling out Garbo's performance as particularly memorable. "Pulsatingly romantic, beautifully filmed, probably the best Garbo-Gilbert love match," wrote critic Leonard Maltin, while David Parkinson of Empire Magazine wrote that "Garbo is mesmerizing in this wild and heated romance..." Carol Cling of the Las Vegas Review proclaimed 'Flesh and the Devil' as "Garbo & Gilbert at their steamy, sultry silent peak." • Sunday, Aug. 14: 'Stella Maris' (1924) starring Mary Pickford. A beautiful but disabled girl, cared for by a rich family that shields her from the world's harsh realities falls in love with a married man. 'Flesh and the Devil' will be shown in 35mm and with live music on Sunday, June 5 at 2 p.m. at the Somerville Theatre, 55 Davis Square, Somerville, Mass. Admission to the screening is $15 or $12 seniors/students. For more info, call (617) 625-5700 or visit www.somervilletheatreonline.com. For more info on the music, visit www.jeffrapsis.com.